Ah, it’s getting closer to that favorite time of the year for pick your own strawberries Clintonville WI. We will soon begin to uncover the strawberry rows from their winter straw mulch cover, this goes between the rows making a nice matted straw area for your picking pleasure. Pick your own strawberries Clintonville WI will begin approximately the middle of June, that’s a pretty average start date for us at the strawberry patch. Our strawberry picking season at the Farm last only two to three weeks, so yes it does go by fast. So keep in mind, Sweet, juicy and tasty strawberries await you and your family. Venturing out to the farm and enjoying one of our picking adventures is a great way to spend some time with your family and create some lasting memories. Start a new or continuing tradition at the Farm during pick your own strawberries Clintonville WI. 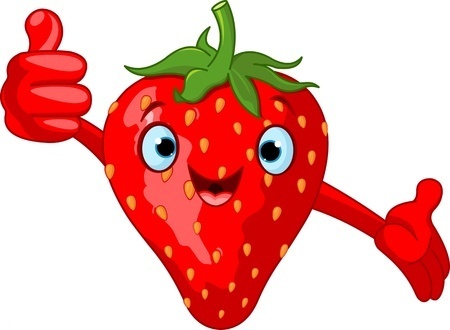 We can’t wait to see all those smiling faces in our strawberry fields! Something else yummy for your dinner tables is coming soon, fresh, tasty and tender Asparagus just picked from the fields. How about putting some Asparagus on the grill, now that sounds awesome and delicious. You just have to love springtime at the fruit and vegetable farm. Our upcoming events at the Farm during the 2016 season. Mid to 3rd week June – Pick Your Own Strawberry Adventure begins. Fresh Sweet Peas available. Late July – Fresh Pickling Cucumbers will be ripe and ready for your canning needs. Fresh Sweet Pre-Picked Blueberries. Sweet Corn.